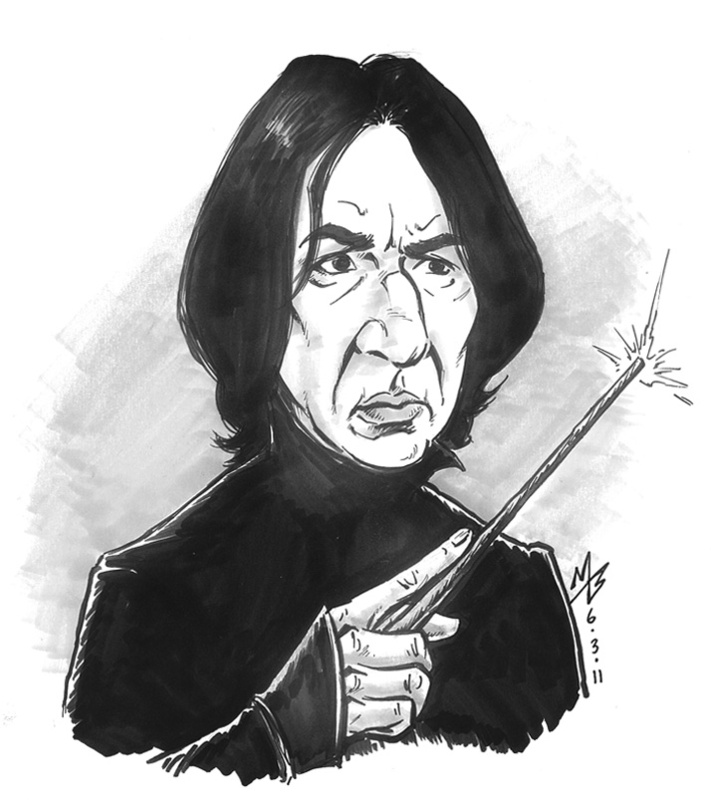 Once Bel saw that I was doing characters suggested by others, she was quick to put in a request of her own--and, of course, it HAD to be Severus Snape! (The movie Snape, naturally) This probably isn't what she had in mind, though. Since this is a sketch blog and I was working with limited time, I went all caricaturey on his behind! So, sorry hun--best I could do in the 20-25 minutes I allowed myself for it. But I hope you like it anyway. And I hope any other Potter fans out there get a kick from it as well!